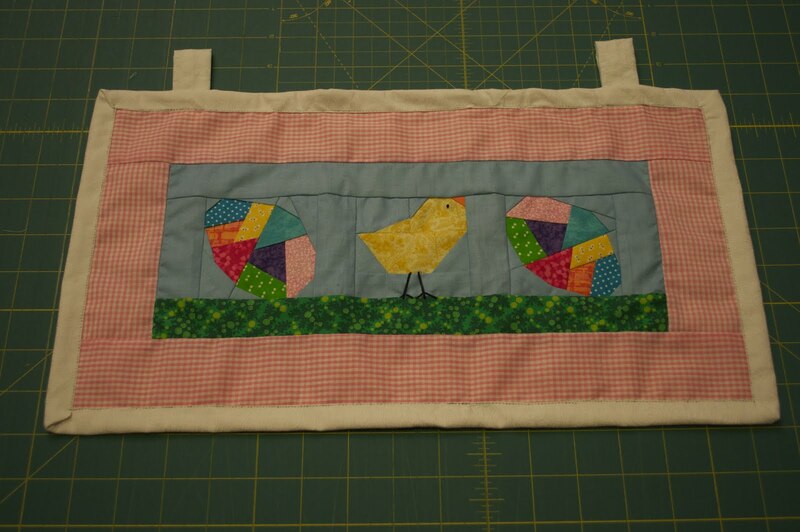 I've been learning how to paper-piece with these cute, little wall hangings! My first projects was the hearts - Used a bunch of scrap reds and I added some rick-rack for embellishment. The next project was the easter eggs and chick - I did some hand-embroidery for the eye and legs on the chick. 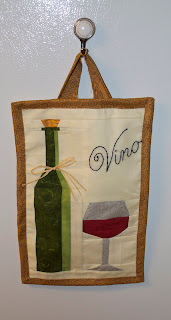 Then I did the wine bottle and glass - the original pattern did not have the "VINO," but that space looked really blank so I decided to do a little more handstitching! Also, I couldn't resist putting a little raffia bow on the bottle! 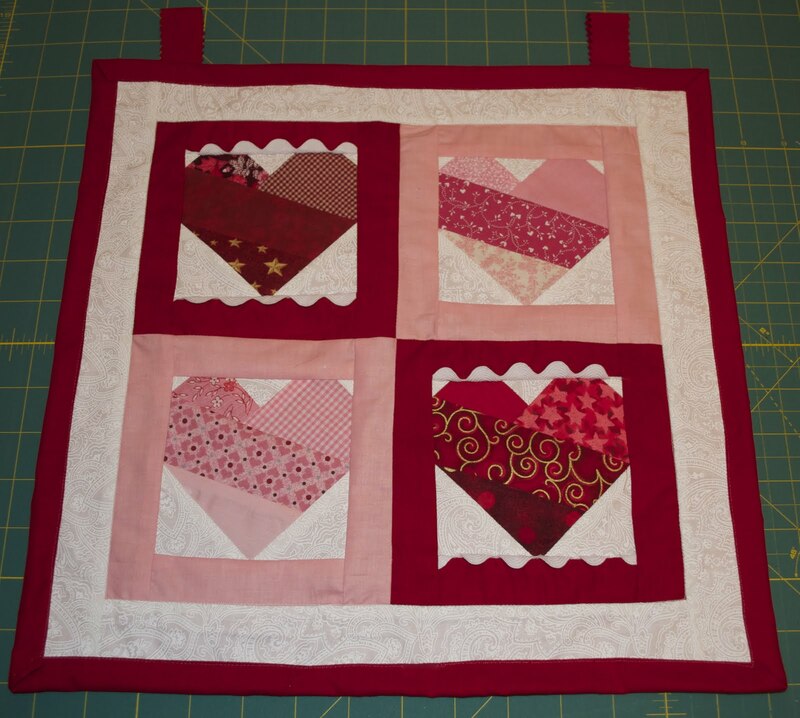 I've also used these projects to learn more about binding - so far so good!